Once installed, configure your router to have DHCP clients use the Pi as their DNS server and then any device that connects to your network will have ads blocked without any further configuration. Alternatively, you can manually set each device to use the Raspberry Pi as its DNS server . 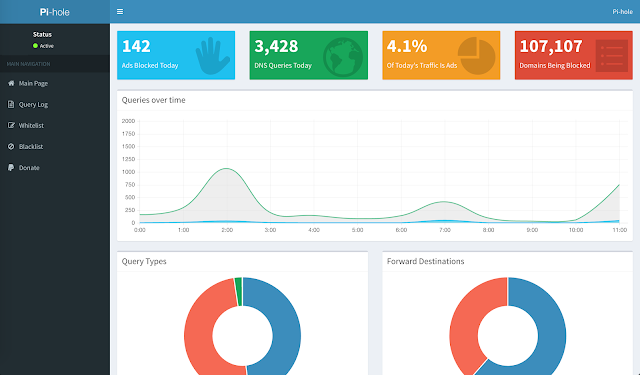 The Pi-hole is an advertising-aware DNS/Web server . If an ad domain is queried, a small Web page or GIF is delivered in place of the advertisement. You can also replace ads with any image you want since it is just a simple Webpage taking place of the ads. The gravity.sh does most of the magic. The script pulls in ad domains from many sources and compiles them into a single list of over 1.6 million entries (if you decide to use the mahakala list ). You can view real-time stats via ssh or on an 2.8" LCD screen . This is accomplished via chronometer.sh . 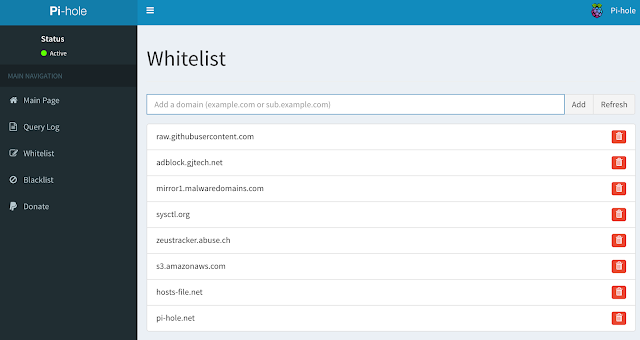 Lifehacker: Turn Your Pi Into An Ad Blocker With A Single Command ! This script will work for other UNIX-like systems with some slight modifications . As long as you can install dnsmasq and a Webserver, it should work OK. The automated install is only for a clean install of a Debian based system, such as the Raspberry Pi.